In a world where awareness among energy sustainability increases each day, we only need to easily do an efficient management of the electrical consumptions in our facility. Their design, of reduced dimensions, makes possible to install single-phase and three-phase versions occupying only a single rail DIN module, and place it easily in any electrical box. 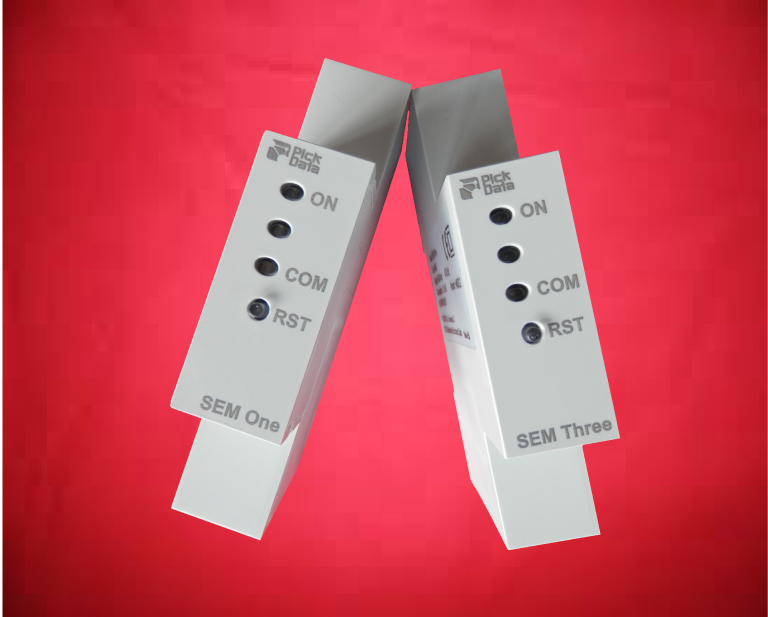 Regarding the accuracy, the consumption analyzers SEM One and SEM Three, paired with current transformers TRC and TRA series, guarantee a precision in active energy with Class B/1 (EN 50470/IEC 62052-21) and reactive energy with Class2 (IEC 62053-23). The new SEM family has removable plugs for power supply (85-264 Vac), current transformers (250 mA output) and RS-485 communications. The communication with measure data is performed using Modbus/RTU standard protocol. For more detailed product information, please contact with our sales department using the following contact form.